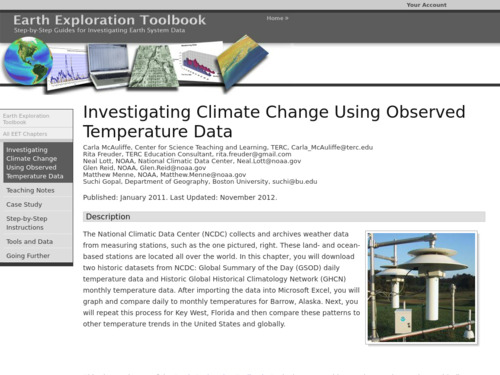 In this activity, students download historic temperature datasets and then graph and compare with different locations. As an extension, students can download and examine data sets for other sites to compare the variability of changes at different distinct locations, and it is at this stage where learning can be individualized and very meaningful. 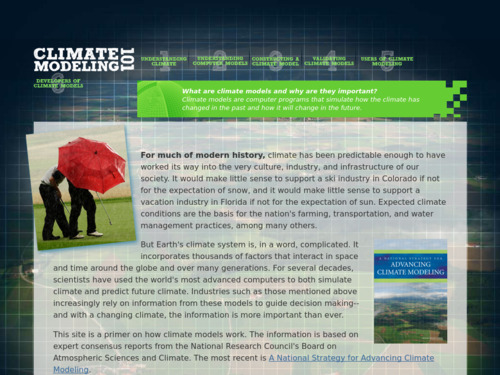 This resource is a website that is a self-contained, multi-part introduction to how climate models work. The materials include videos and animations about understanding, constructing and applying climate models.